"Promoting the highest standards in design and protecting Hackney's unique heritage. The Hackney Society has encouraged positive development of the borough's built and natural environments, through engagement with a broad cross-section of local people and experts. We encourage exemplary new design, regeneration and conservation of our rich heritage through Spaces (our newsletter), our publications, walks, talks, meetings, website and social media." 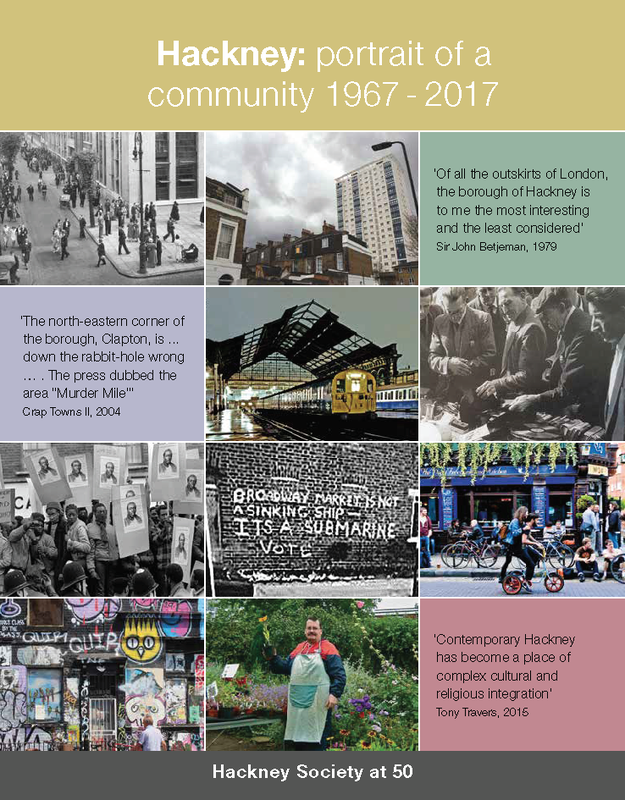 The Society was formed in 1967 to involve and support local people in the conservation and regeneration of Hackney's built environment and public spaces. The Hackney Society is a membership organisation of Hackney residents and friends. An elected Board of Trustees, drawn from the membership, manages the work of the Society. The Society has no staff and is entirely run by volunteers. The Hackney Society is an amenity society, a registered charity (number 1126736) and a company registered in England, limited by guarantee (number 4574188). To get in touch, it's best to email us at info@hackneysociety.org. if you can't email, you can write to via our post box at The Hackney Society, The Round Chapel, 1D Glenarm Road, London E5 0LY, but bear in mind post is only collected intermittently. Or you can leave a voicemail on 020 7175 1967. We'll get back to you as soon as we can but give us a couple of days. comments on planning applications in the borough to improve the quality of design. supports the six Conservation Areas Advisory Committees made up of local people. produces a quarterly newsletter, Spaces to highlight the society's work and important current issues. For further details and to join see our membership page.